The idea of singing a new song showed up back in Psalm 33:1-11. In this passage God is asking “those who go down to the sea” and “you islands and all who live in them” to sing a new song to the Lord. I am not sure if this reference to the sea and islands refers to sea faring folk, people from distant lands (islands), or something completely metaphorical. If we assume that it is at least in part metaphorical then it might be instructive to explore the meaning and properties of islands. When I think of islands I think of something isolated and separated. Something that has to rely on itself for food and water. For example islands like Haiti are isolated economically and physically from large land masses and this disconnects them from the larger world. I wonder if God’s reference to islands here could mean something similar in a spiritual sense. The people he was directing to sing a new song, including us, were behaving like islands. They were isolating themselves from God. The people here are supposed to “give glory to the Lord and proclaim his praise in the islands”. Does this mean taking the good news to those who have made themselves islands? Are we all in a sense islands? I do not know, but it definitely makes me wonder. Am I an island? 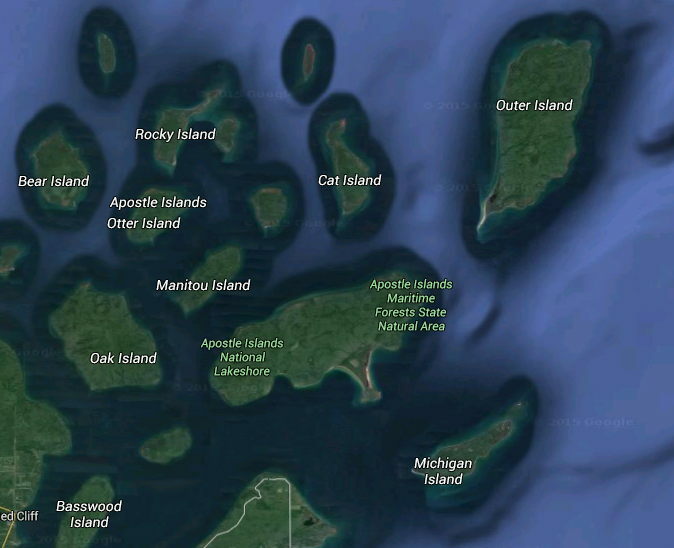 Are there people I meet who are islands that need me to proclaim the Good News to them? The passage turns prophetic and says that God “will march out like a champion, like a warrior he will stir up his zeal; with a shout he will raise the battle cry and will triumph over his enemies.” This sounds like the military Messiah that the Jewish people were looking for in the time of Jesus. Then the passage gets a little confusing and the metaphor gets murky with the statement “I will lay waste the mountains and hills and dry up all their vegetation; I will turn rivers into islands and dry up the pools”. What does “turn rivers into islands” mean? This would seem like a mixed metaphor at best. I am perplexed. Up to this point “river” has pretty much referred to the One River God, so to say that one is going to turn a river into an island is to say that God will become like one of us islands. This sounds very much like the Messiah described in the Gospels that came up in a post a few days ago called “in the hollow of His hand” (Isaiah 40:3-14). Jesus certainly leads all those who choose to faithfully follow Him along unfamiliar paths. He gave sight to the blind and brought light into darkness, and He made the rough places smooth. the Gospel is woven all through this part of Isaiah in ways that I did not fully appreciate until now. Prayer: Thank You for helping us islands and being willing to come show how to navigate unfamiliar paths. This entry was posted in Christianity, Discipleship, Faith, Following God, God's Love for Us, Isaiah, Jesus, Obedience, reconciliation, Redemption, religion, The Nature of God, The Spiritual Realm, Trusting God and tagged bible, bible study, Daily devotional, faith, Jesus, river, water. Bookmark the permalink.